Hard Rock Cafe Tampa recently announced the Ol' Bay Burger, their latest Local Legendary Burger. This burger was created by Chef Doug of Hard Rock Cafe. The Ol' Bay Burger consist of a house made 8oz burger seasoned with old bay topped with a jumbo lump crab cake, Jack Cheese, freshly sliced tomatoes, shredded lettuce and house made “Davy Jones” sauce. We had a chance to try it the other night and it was incredible! How did this burger get on the menu? There was a month long contest that was held internally throughout Seminole Hard Rock Tampa’s Food and Beverage department. Several employees took part in the contest and five finalist got to have theirs taste tested and voted on by Hard Rock team members. 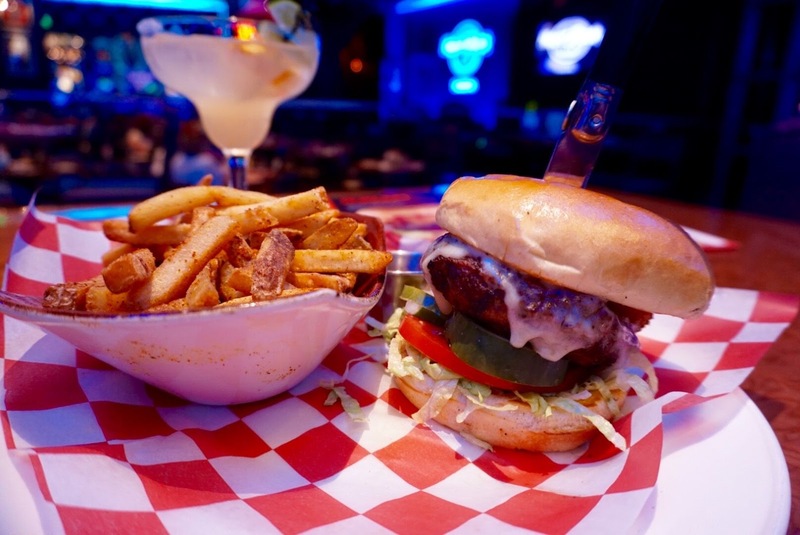 Chef Doug's Ol' Bay Burger won and is now featured as the Local Legendary Burger on the Hard Rock Cafe Tampa menu! 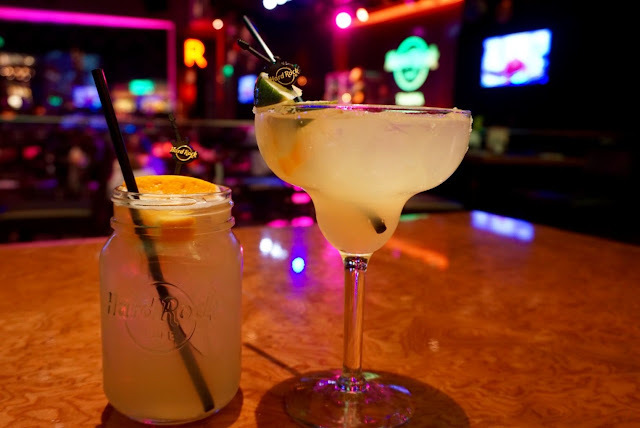 While we were at Hard Rock Cafe Tampa, we had a chance to try out some specialty cocktails. Gabe got one of the Jam Session featured cocktails which came with a souvenir Hard Rock Mason Jar glass for $14.99. Meanwhile, I got the Triple Platinum Margarita (Sauza Tres Generaciones Plata Tequila, Cointreau and Grand Marnier). We also enjoyed live music by Cutty Jones while dining. 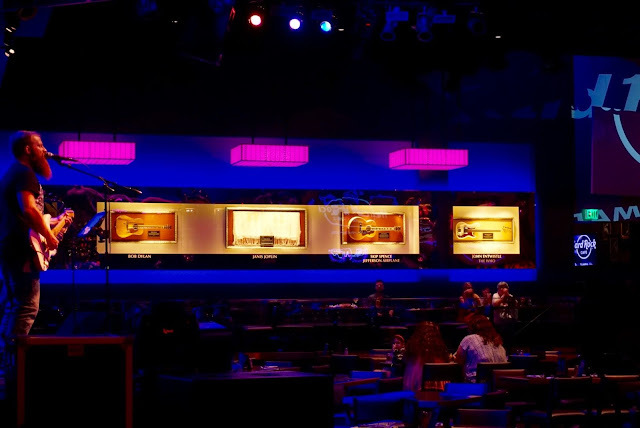 Seminole Hard Rock Tampa lists all their live performances on their calendar of events. If you are looking for a fun and delicious night out, I strongly suggest a visit to Hard Rock Cafe Tampa - and get the Ol' Bay Burger!